Tamu from All Pretty Birds just posted these pictures of Simone Marchetti, editor at D-La Repubblica. 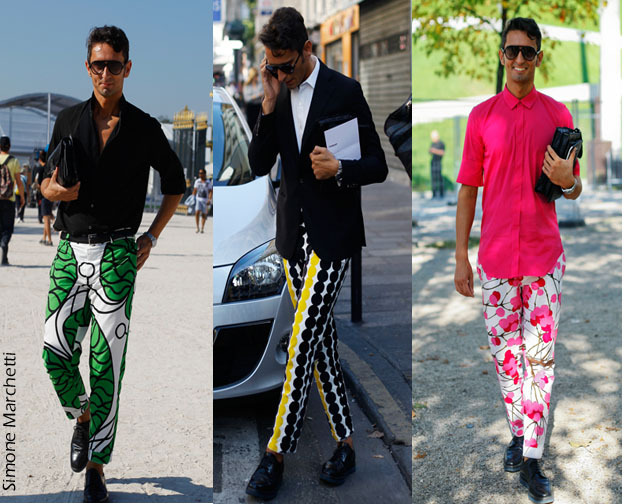 Before this post I had no idea who Simone Marchetti was, but based on these rocking printed pants I definitely want to know more. Now that the Pitti Uomo, a men's trade show in Florence has started hopefully more pics of him will pop up. What do you think of Simone Marchetti's pants?